Times of waiting are just a part of life. No matter who you are or what you are doing, there will always come a time when something in your life ends and you are forced to wait for something new to start. It is not always a comfortable process, but we would do well to master it. 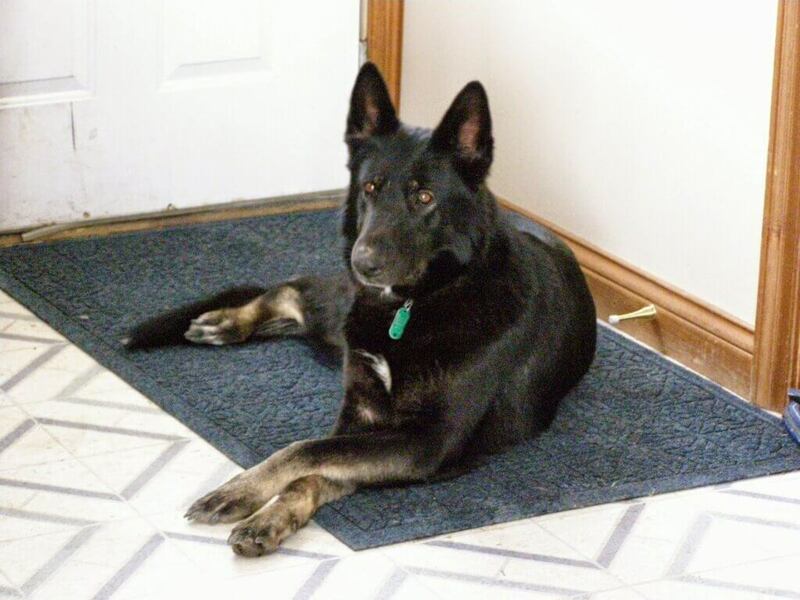 I wish I could be more like our German Shepherd, Cherokee. No, I don’t want to sleep in a cage or smell like she does when she’s been out in the rain. But I would love to have her ability to trust her master. Over the past number of years Cherokee and I have developed a game. We love to take walks together. While I enjoy the exercise and the scenery, she investigate the smells and sounds all along the road. But every walk finally comes to an end. When we reach our lane I ask her to sit and stay while I remove her leash. She sits quietly focusing her big brown eyes on me, and waits. Sometimes I will walk away. Sometimes I will circle around her. Sometimes I will just stand still. But no matter what, her eyes remain intently focused on my every move. She is waiting patiently with every muscle tense and ready for my signal. After a few moments I stretch out my hand and say, “Go!” Without any hesitation she is off like a shot, racing full speed down the lane towards the house. And every time I am amazed at her willingness to trustingly wait for my word. I so wish I could be like this when it comes to waiting for the Lord. Recently an important and fulfilling activity in my life came to an end. It is again time for me to listen for God to show me what’s next. Unlike Cherokee I so often fret and rack my brain trying to understand the delay or conjure up the next move, when all God wants me to do is fix my eyes intently on Him and wait for the signal. Times of waiting can be times of rest. They can be times of getting some necessary jobs finished so we are unhindered when a new opportunity comes. But all during these days or months or years we must be focused on God and ready to go at a moment’s notice. Are you in a time of waiting? Take a lesson from Cherokee. Wait patiently. The Lord is good to those who wait for Him. 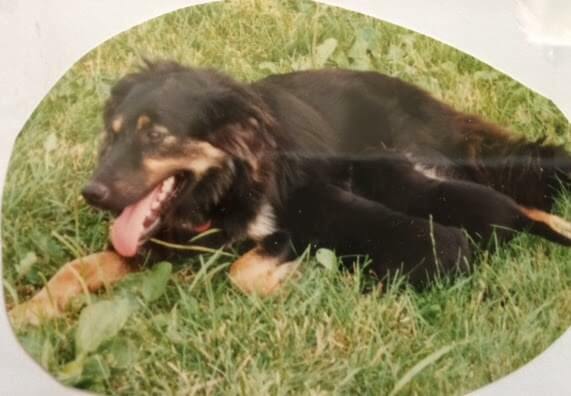 Years ago we had a half German Shepherd, half black lab dog named Maggie. She was such a good girl and we loved her as much as she loved us. She had a peculiar habit. When we would arrive home, she would see our car turning into the lane. 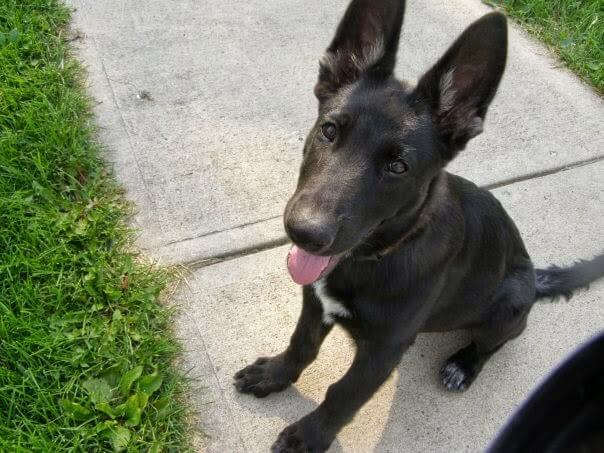 Her ears would prick up and then she would take off across the yard, around the barnyard, and through the field, finally arriving to the spot where we parked in time to greet us with wagging tail and lolling tongue. It seems that in her excitement to see us she just had to race around to get out the extra energy. The strange thing was that she took this same route every time we came home so that over the years she wore a path in the grass. I am sure if someone took a picture from above our property they could have plainly seen the trail she created from her regular, circuitous race across our land. Any time one goes over the same territory over and over they wear a groove in the path. This happens all the time in nature, thus creating “rabbit trails” or “deer tracks.” A similar phenomenon happens in our brain. I recently read an article describing how the brain is made up of cells called neurons. The cells have nerve endings that communicate with each other by chemical and electrical stimuli. This communication creates neuro-pathways in the brain and facilitates how the brain works. When you think certain things, you begin to create a path in your brain. The more and more you think the same things, these paths become deeper forming an automatic way of thinking. It is possible to change this automatic way of thinking by forcing your brain to take a different path. When you choose new thoughts and behaviors, these will become your dominant ways of thinking. The Bible calls this “renewing your mind.” If you are naturally fearful, remind yourself that the Lord alone makes you dwell in safety. If you normally worry, focus on the fact that God cares for you. Instead of dwelling on negative things, think about what is true, lovely, and pure. As you fill your mind with the truths God says in His Word, you will develop a new mind path. You will renew your mind. Though I don’t think that we could have gotten Maggie to take a new trail through the barnyard, I am grateful that God’s Word tells us what science has proven: you can develop a new mind path. Do not conform to the thought patterns of this world, but be transformed by the renewing of your mind.